Huzzah! 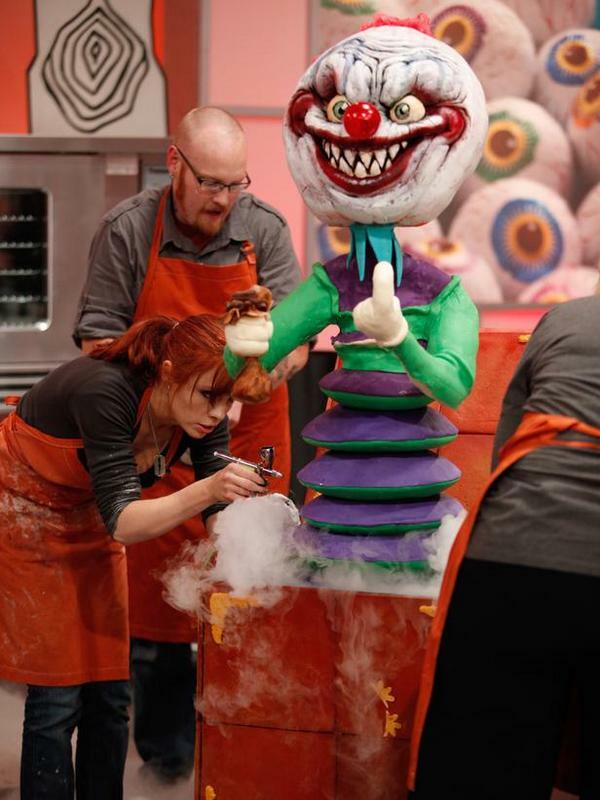 The new season of Food Network’s Halloween Wars started on October 7. The Halloween season is in full swing and this show is another bonus. For those who are unfamiliar with the Food Network and their Wars shows, here is a rundown. There are 5 teams each made up of professional, creative and incredibly talented cake makers, sugar artists and pumpkin carvers. 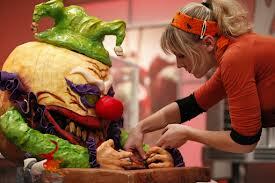 Each episode they are challenged to come up with Halloween themed creations made of sugar, cake and pumpkins. The pieces are then judged by renowned cake decorator Shinmin Li and the brilliant award-winning special effects, makeup artist and horror movie actor/director Tom Savini – I am a huge fan of his and I’m thrilled to see him as one of the judges this year. 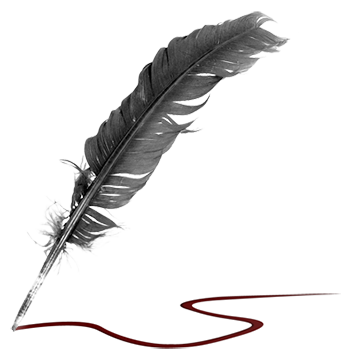 In addition to the two regular judges there is a guest judge each week. The teams will go through 4 rounds of challenges and the last one standing will win $50,000. This is one of those shows where I am continually in awe of the creations these talented people can come up. 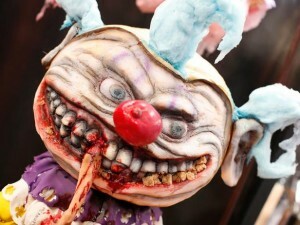 Evil Clowns was the first of the 4 episodes this season with guest judge Shawnee Smith . The mini challenge was to create a goblin and the big challenge was to create creepy clowns (which should be easy because clowns are always creepy). Check out some of the wicked nightmare inducing creatures. Next week the theme will be Battle of the Vampire Killer with guest judge Rutina Wesley from True Blood. 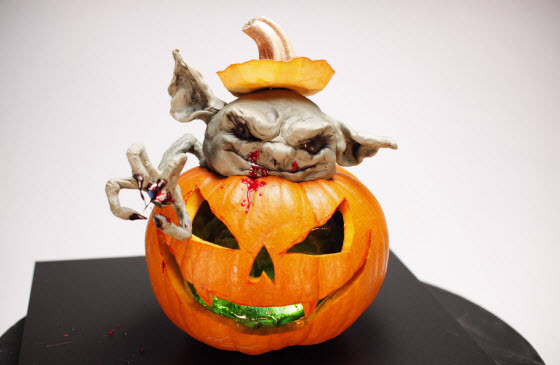 This entry was posted on October 9, 2012 by Denise in 31 Days of Halloween and tagged Food Network, Halloween, Make-up artist, Pumpkin, Tom Savini.